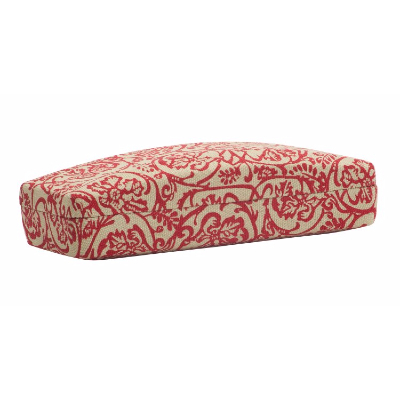 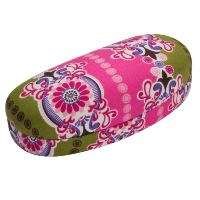 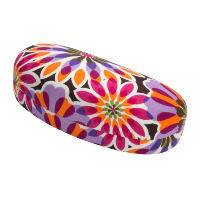 Stylish case with a red printed, fabric finish. 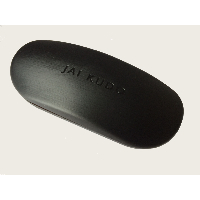 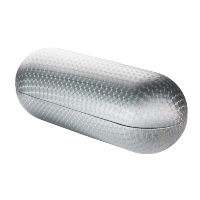 Metal body provides good protection for your Glasses. 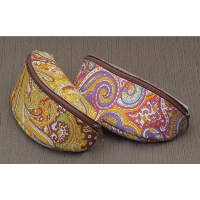 Matching red, soft, plush lining.